Now goes up to size XXL! Showa Atlas 370 Nitrile gloves are a favorite with roofers, mechanics, landscapers, HVAC installers or any worker requiring protection and maximum dexterity. 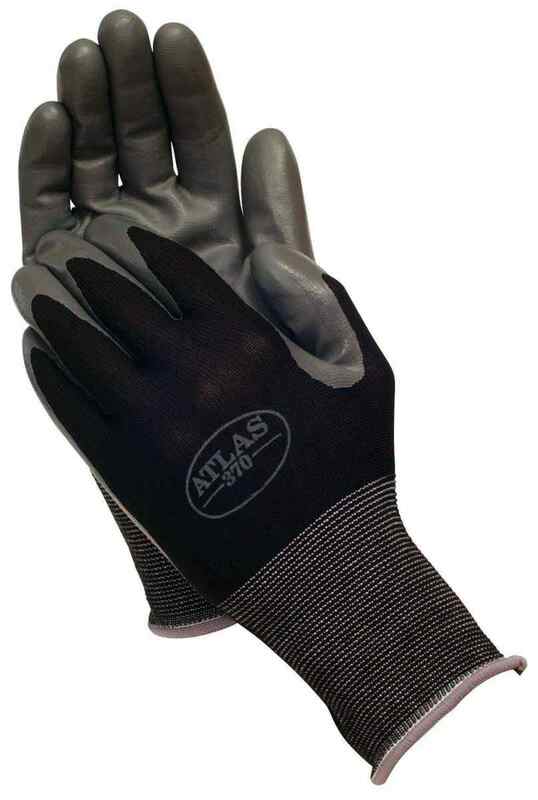 Atlas 370 Nitrile gloves are lightweight, nitrile-coated nylon knit gloves that fit like a second skin, with a seamless nylon liner that increases comfort. 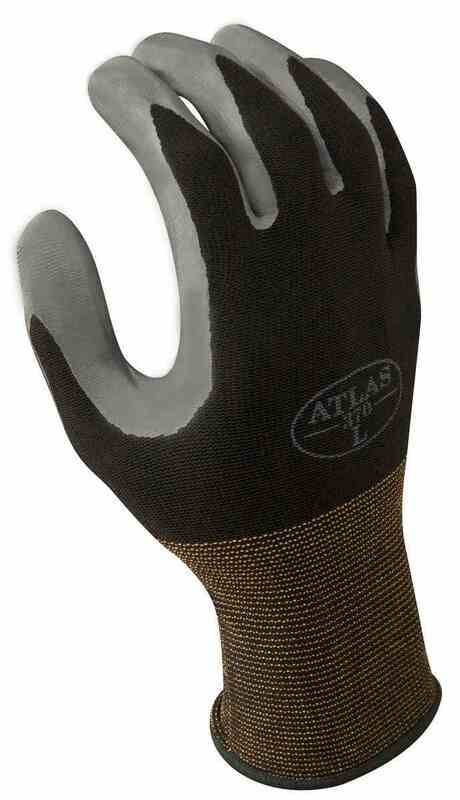 Atlas 370 Nitrile gloves protect palms and fingertips while increasing productivity. These gloves let you feel what you're doing: perfect for hand tool use, moving materials, even picking up small screws, bolts and washers! The thin Nitrile coating provides excellent flexibility. Nitrile is stronger than rubber, protecting palms and fingertips. The seamless nylon knit liner increases comfort while it repels dirt, stains and contamination. The fingertips are soft and pliable providing excellent dexterity. Wrist is elasticized, but no separate closure. Tough, durable and lightweight gloves. Provides excellent grip for wet, slippery and oily items. Ideal for precision activities such as threading bolts. Breathable back keeps hands cool and dry.